These easy, 6-ingredient, chewy flapjacks with oats are worth making. Enjoy them for breakfast or pair one with your packed lunch. We are using butter, oats, sugar and syrup to make them, along with lemon and ginger to add flavour. 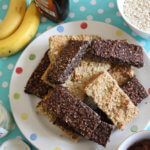 If you like, drizzle melted chocolate over the cooked flapjacks and then let it set before serving. 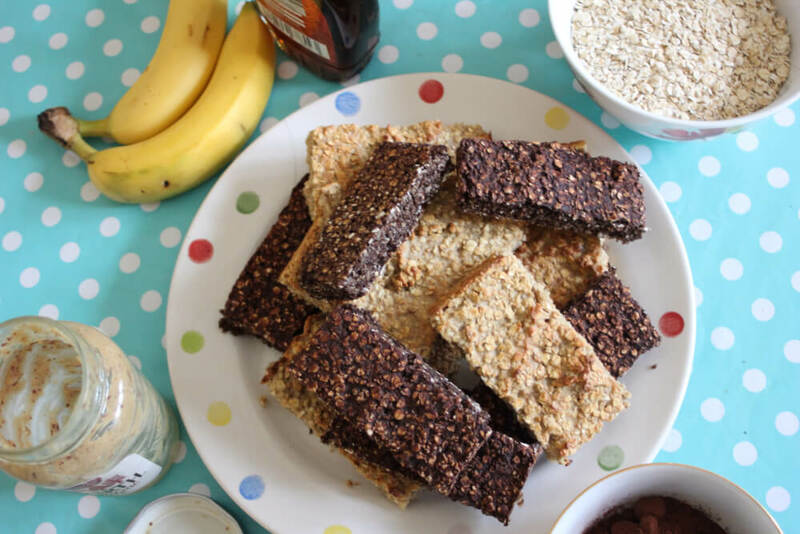 Everyone will enjoy these delicious, chewy flapjacks with oats, from the youngest member of the family to the most senior. There are all kinds of tweaks you can make. Some people like to add raisins, nuts, dried fruit or chocolate chips to the flapjack mixture, while others will swap the syrup for honey or the lemon zest for orange zest. Make any changes you want. This is such an easy recipe and it makes 12 of these little treats. Make sure the flapjack mixture is pressed down tightly into the baking tin, then you will be able to cut the cooked flapjack mixture cleanly into squares. 1. Preheat the oven to 150 degrees C and line a 20cm square baking tin with baking paper. 2. Melt the butter in a pan over a low heat. 3. Brush the baking tin with some of the melted butter. 4. Now add the sugar and syrup to the rest of the butter and warm it through until the sugar dissolves. 5. Take the pan off the heat. 6. Stir in the lemon, ginger and oats. 7. Press the mixture into the prepared tin and bake for 40 minutes. 8. Let the flapjack mixture cool for 15 minutes and turn it on to a chopping board. 9. Cut into 12 squares and serve warm or keep in an airtight container.